Thanks go to Rev. Jackie Sephton for helping with our Chirstingle service at St Mary Magdalene Church Bildeston. 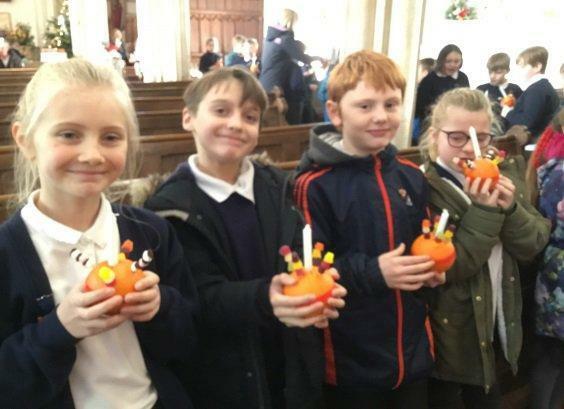 The children filled Children Society Christingle Candles with donations from home raising over £165. 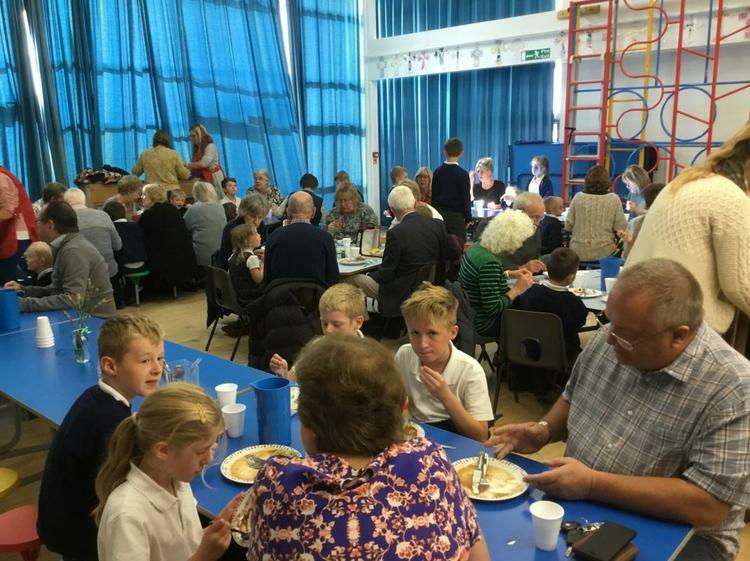 A day the children always look forward to, when they proudly sit with their grandparents eating their lunch and talking about what they have been doing. Children often then show their grandparents to their classrooms and then outside to enjoy the beautiful weather. This year was no exception. 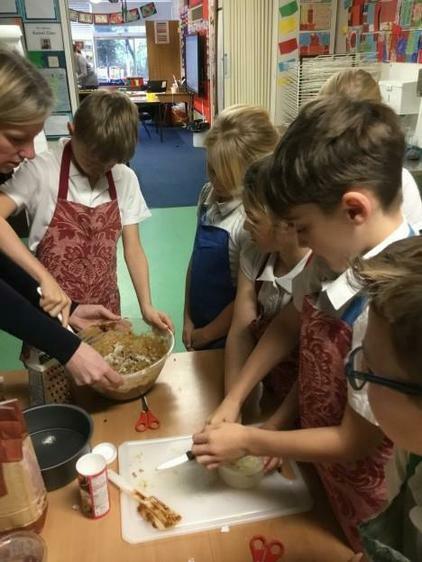 "We weighed all of our ingredients, placed it into a mixing bowl and mixed in a figure of eight until all the different ingredients were combined. What a lovely smell! We then put our cakes into the oven to cook. While we were waiting we did a taste test of 5 different cakes, wrote out our recipes, looked at the health and safety guidelines we needed to follow when cooking and drew a design for decorating our cakes. 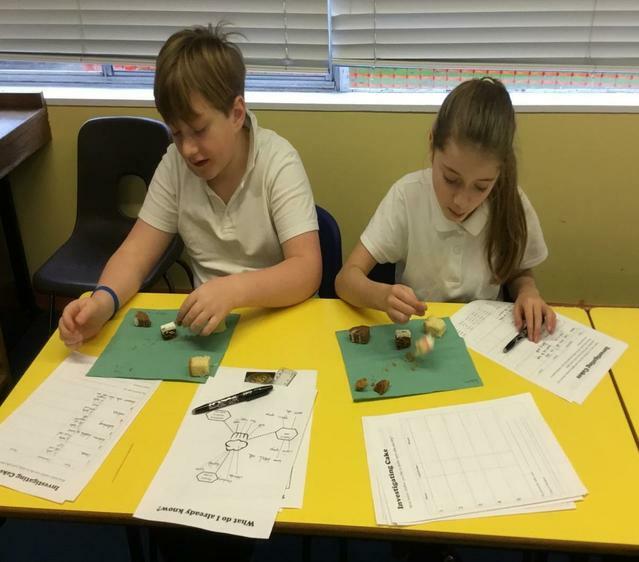 Finally we tasted our cakes and wrote out our evaluations." 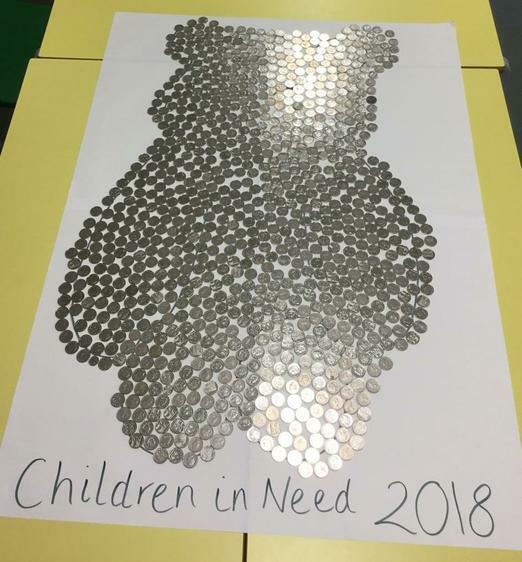 To raise money for Children in Need, the children wore spotted accessories and brought in 10 pence pieces and filled a template of Pudsey... raising a total of £90! 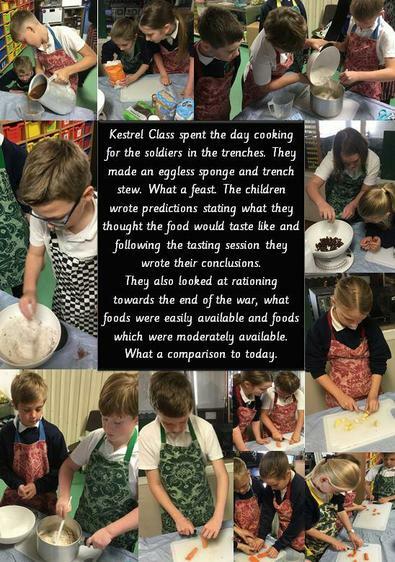 Our topic this term has been World War 1, so when we were contacted by a member of the Royal British Legion and asked if we would like to carry out some research about local war veterans from the first World War and join in the organised celebrations across the County on 8/11/18 we were only too pleased to agree. Research carried out, the day arrived and Kestrel Class put on their poppies and headed for the church. What a fabulous morning, the children enjoyed their morning walk to Bildeston Church in the glorious sunshine. 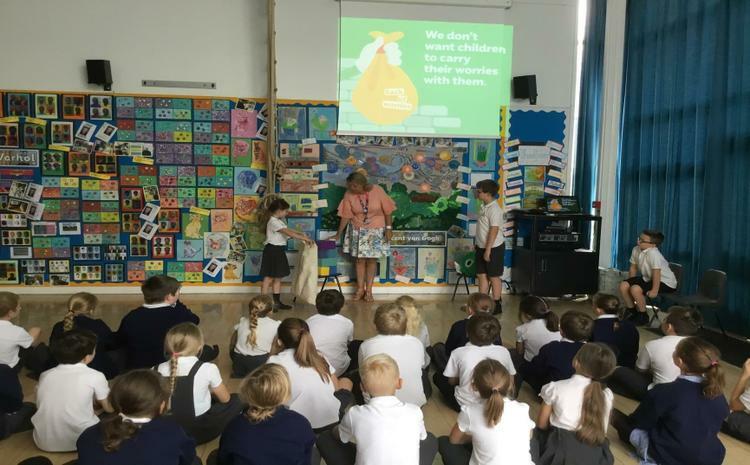 As the bells rang out we were met by Reverend Liz who explained the reason the children had been invited to the church. 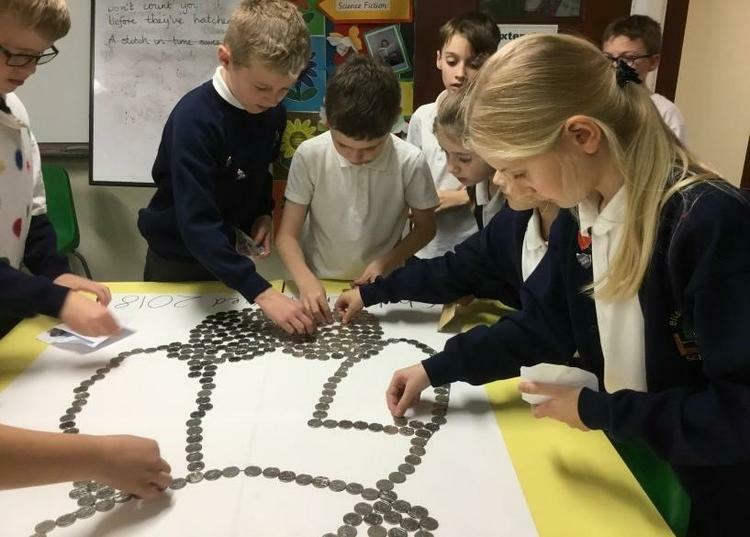 The children had previously researched the two war veterans from WW1 Mr Chinery and Mr Welham who were buried in Bildeston and their stories will now be remembered by this generation and hopefully passed onto the next to keep the flames of remembrance alive. 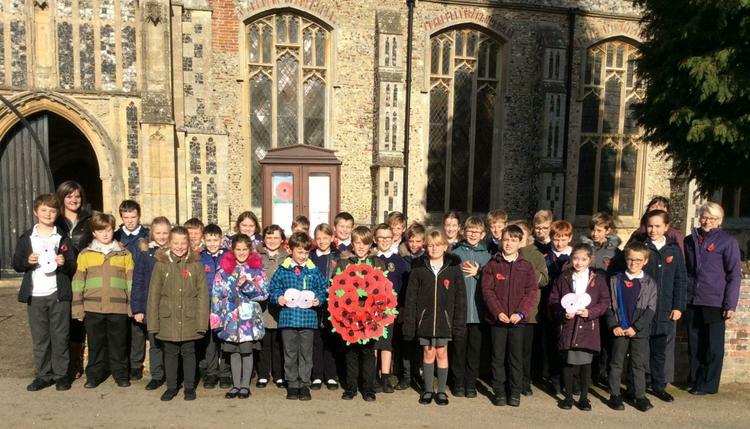 The children visited the two graves and placed crosses and a small disc (which said the soldiers were 1 of the 1,332 men that died who were from Suffolk) into the ground in front of the gravestones. 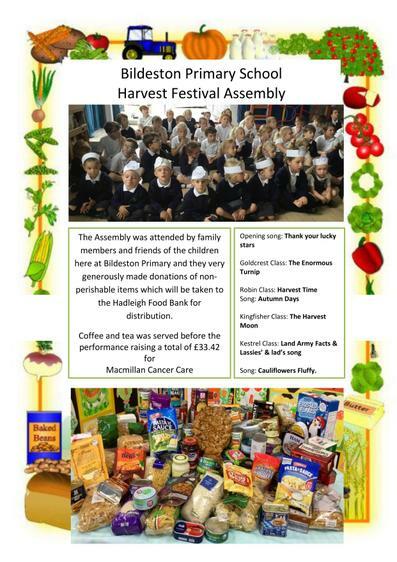 It was an amazing tribute to the Great War generation, attending our church at the same time as school children across the County visiting their local cemeteries. Bikes checked for compliance with Health & Safety, ensuring our bikes are safe to go out on the road. 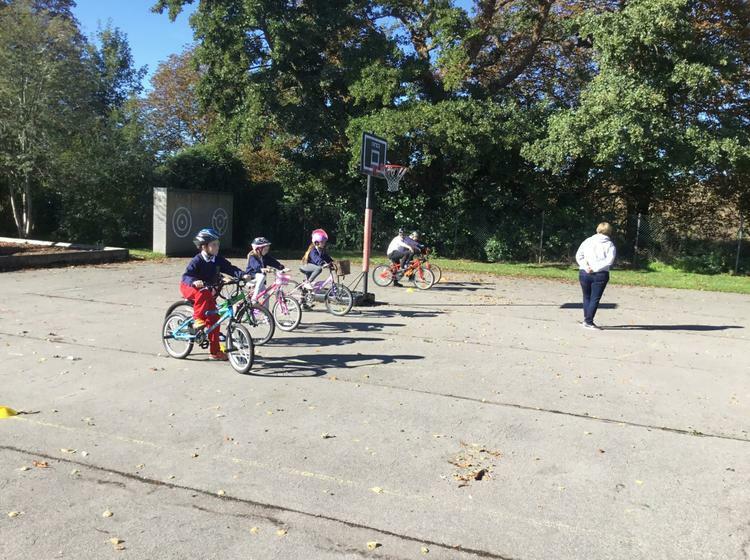 Safety helmets on and we are ready for our lessons. 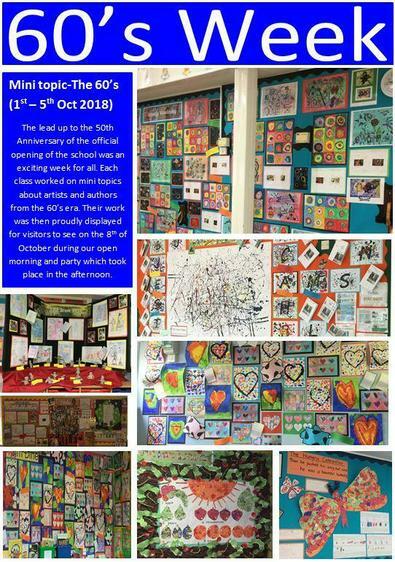 Year 5 pupils took part in 4 sessions over the week and if all standards were met they received certificates and badges for completing the lessons.